Served in Various positions including Principal Secretary to the Government of Karnataka, in the departments of Food and Civil Supplies, Forests, Finance and Commerce and Industry. 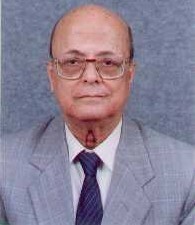 From 1977 to 1983 - Home Ministry, Government of India as Registrar General and Census Commissioner, India for the 1981 Census of India. Was associated with Standing Committees of associated Ministries as a Member such as the Population Advisory Council, National Advisory Board of Statistics, Advisory Committee on Social Welfare Research. Was a member of the Committee on Population and Committee on Statistics of the UN Economic and Social Commission for Asia and Pacific (ESCAP), Bangkok. Also was (a) Chairman, Public Sector Restructuring Commission, Government of karnataka, (b) Member of the Task Force on Health, Government of Karnataka, (c) Member of the Organising Committee for the Fifth Economic Census, Government of India. After Retirement joined the United Nations in the Department of International Economic and Social Affairs and was associated with the UN activities relating to population and health concerns. Worked in Nigeria, Jordan and in UN Headquarters, New York as Technical Adviser, Population Censuses and Surveys and Training. My work related to overseeing related projects in the African Nations. Member of two United Nations Missions to Cambodia while the peace process was being negotiated. These Missions were concerned with the appraisal of administrative systems in the country and the possible electoral arrangements. Also led the UN Mission to Cambodia for determination of the administrative organisation for the UN Transitional Authority in Cambodia (UNTAC). Established the Centre for Population Dynamics, Bangalore, a NGO concerned with population issues with particular reference to health and related concerns.